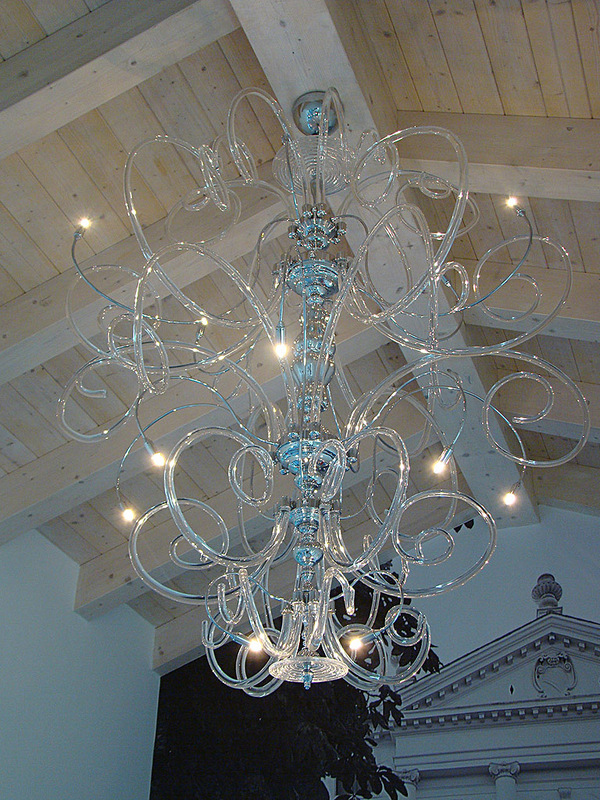 Exclusively handcrafted Modern Contemporary Murano glass chandelier. 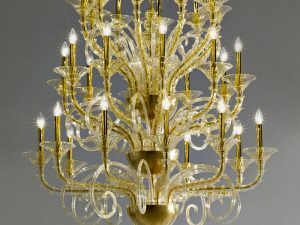 The modern Murano lighting fixture is the dynamic presences of art of Murano glass with a touch of contemporary style. 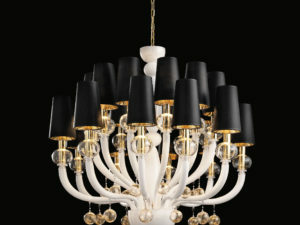 It establishes a strong but delicate character in designing any space. 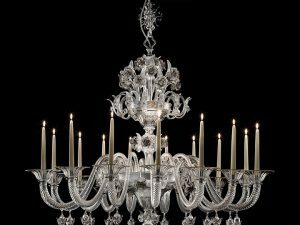 An incredible game of lights created by reflections through chrome parts and Murano glass gives this artwork the magical and stylish modern contemporary image that looks into the future. Lead Time: 8+ Weeks, International door to door delivery. 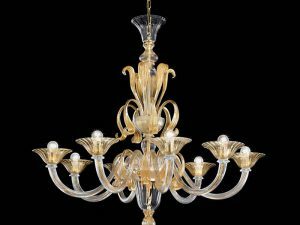 It is also available in sizes listed below or custom size, custom Murano glass color and custom metal finishes upon your request. You can also specified your request by email on Contact Us page.